My class, the Clown Conservatory class of 2019, will be the inaugural volunteers as part of a new non-profit program called ClownCorps. Partnering with the San Francisco Circus Center and the Bali Children's Project, ClownCorps has already begun preparations to send this year's graduating class to Bali, Indonesia. 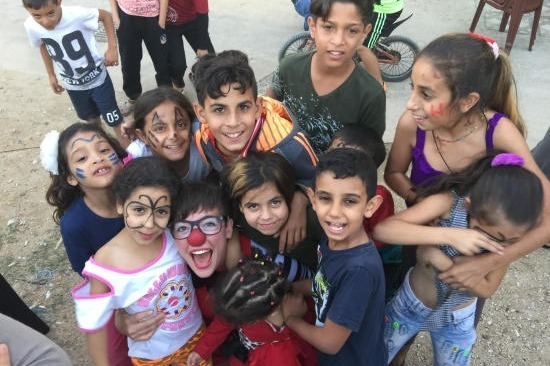 By contributing to my campaign you will help spread joy across the globe through me and my passion and belief in humanitarian clowning for children and communities in need. In April 2019 we will tour rural and poverty stricken communities offering free-of-charge interactive performance and workshops in acrobatics, clowning, and circus arts. Our mission is to entertain, educate, and inject laughter into the lives of children and communities in this developing nation. 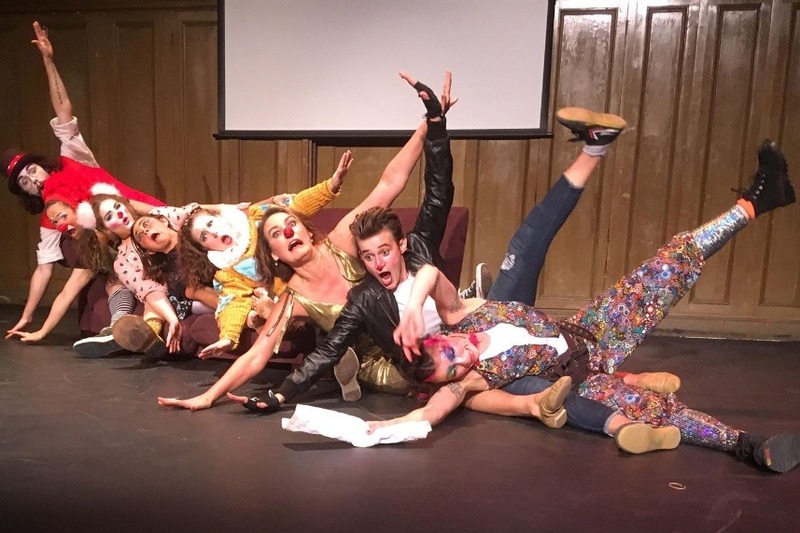 1) To provide hands-on learning experience for graduates of the Clown Conservatory Professional Program that offers the opportunity to apply their training in social clowning, performance, and circus in less advantaged communities. 2) To provide education, creativity, laughter, and relief for youth in rural villages of Bali living in poverty with fewer access to resources. The performance and workshops will be offered completely FREE of charge in partnership with The Bali Children's Project . In order to secure my place as a volunteer performer and educator a non-refundable deposit of $500 is due by Jan 1st 2019. Half of the remaining costs are due on February 1st 2019 and the remainder is due March 1st 2019. While Bali is popularly perceived as a paradise vacation destination, poverty is common and widespread, particularly in remote communities beyond the reach of tourists. We will focus our efforts primarily on children who come from environments of hardship, far removed from the experience of most tourists. This area ranges from Pemuteran in the far north west, to Singaraja in the north and communities in Karangasem in the east, with many from around Ubud in southern Bali and Munduk in the high mountains. Clowning and circus arts challenge youth to use their bodies and minds creatively and playfully. We teach valuable lessons that cultivate teamwork, persistence, mindfulness, and positivity through heightened emotional and physical engagement, laughter, and play. Children who have experienced emotional trauma need safe places for creative expression and emotional release. Through creative play, group games, and physical activity, children learn to trust others, build relationships, and empathize with their peers. As clowns, we provide the space needed for this exploration. 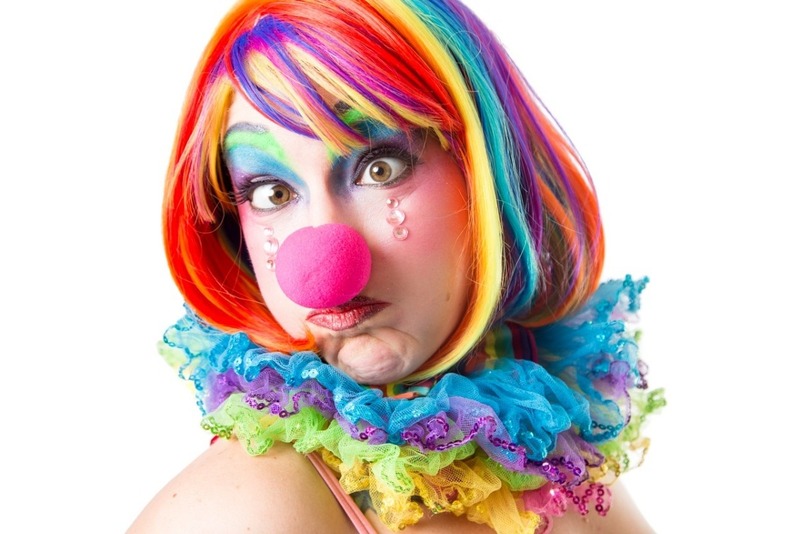 The clown gives permission to play, to laugh, and to engaged fully with the world. This type of whole-hearted engagement inspires self-confident, committed, and passionate young people who will one day be leaders, artist, and catalysts of change in their communities. Currently I'm studying the art of clowning though the San Francisco Circus Center Clown Conservatory and simultaneously working as an instructor for the San Francisco Circus Center. 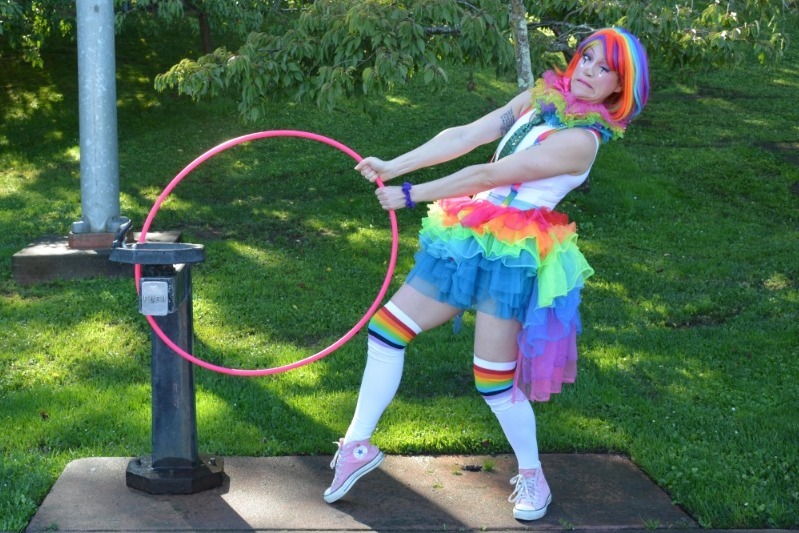 I perform regularly in the arts of clowning, contortion, hooping, acrobatics, and juggling. Ever since I was a child I knew I wanted to give back to those in need, especially to children who may not know anything other than poverty, struggle, and hardship. I've always wanted to offer help, love, compassion, and support to those who struggle as I did, and to those who struggle far worse that I could ever perceive from my place of privilege. In the past I've worked with various non-profit organizations including the California Conservation Corps and Big Brothers Big Sisters. Now I have the opportunity to combine my passion for circus arts with my desire to give to those in need the only thing that stands in my way is a dollar sign. Your financial support will allow me to volunteer as an entertainer and educator utilizing my education in circus arts, experience as a performance artist, and most importantly, my compassion. This is just the first step, I need YOUR help to take it. Thank you! The more that I give the more I've got to give, it's just the way that I live, it's what I'm living for! WE DID IT! Yippee!!! A million clowny, kooky, zany, whacky, and wildly gracious "thank you"s to everyone who donated to this campaign. I'm overwhelmed with gratitude and how much people were willing to share, donate, and just reach out in support during this fundraiser. It's been incredible. Thank you all so very much and please keep an eye out because we are planning to document our trip and make and share that content with the rest of the world! If you're interested in learning more about social and humanitarian clowning, or about circus in general, please don't hesitate to ask! It's 9:17 pm and we only have $200 left to raise. Can we do it before midnight? Woah! Only $375 left to rais!! Holy cow you all are incredible! Thank you so much to Marie, Becca, Eve Riot, and 2 fabulous anonymous donors! Yesterday we raised nearly $800. That is $800 in ONE DAY! :O I'm SOOO thankful and overwhelmed with gratitude! With only $375 to go, lets see if we can bust out the rest of this by THE END OF THE DAY TODAY. Can we do it? Can we do this today? Let's do it TODAY! Waaaahh!!! I'm so excited! Thank you all so much! *DEADLINE THIS WEEK! * The final payment is due Thursday and with your help we can make it! We only have $1267 left to raise for this trip to Bali offering FREE social and humanitarian clowning shows and workshops to the children and communities in rural Bali. We'll be touring for 10 days offering roughly 3 shows a day for FREE on this volunteer trip with my clown cohorts. If you've been waiting to donate this week is the week. Regardless of whether or not we make the goal I WILL be going on this trip! Help me avoid the debt I'll wrack up between putting the remaining balance due on my credit card. I believe in this work and in this project. I'll do whatever it takes to get out there and I hope I can make it happen with your help, and without 19% interest. If you believe in this kind of volunteer work then please consider making a donation to my campaign. Volunteers like myself look to the help of their families, friends, and communities to help create FREE events for those who are less fortunate. Help bring some smiles to the children and communities of Bali. Consider a small donation today.